There is a limited amount of information regarding the functionality of molecular RNA editing, and what its physiological property might be. The lack of knowledge stems from the fact that when trying to interfere with RNA editing enzymes, the effect is usually lethal. 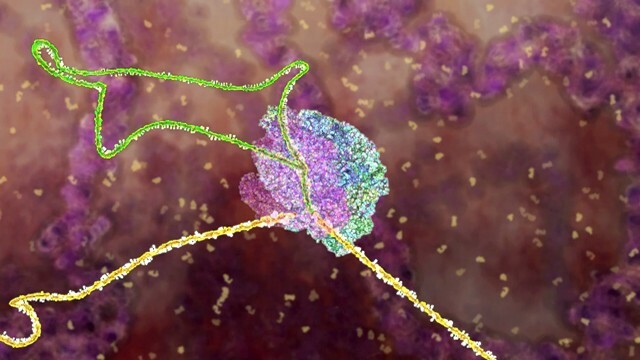 A recent study, conducted at Rockefeller University, and published by PNAS, presents data which characterize the molecular consequences of the absence of the RNA editing enzyme called “APOBEC1”, and shows the effect on both the molecular level and the cellular activity. Apolipoprotein B mRNA editing enzyme, catalytic polypeptide 1 (APOBEC-1), is responsible for deamination of cytosine (C) to uracil (U), and is particularly active in cells belonging to the immune system. Therefore, the experiment was focused on one cell type, Monocytes, which express the enzyme in much greater magnitude than other cell types. In the experiment, the cells were divided into two groups. The experimental group in which there is a deficiency of the enzyme and a control group. The results show that APOBEC1 editing alters gene expression by modulating translation. when APOBEC1 is silent, protein expression is reduced. However, RNA editing does not influence its stability or localization. Furthermore, the researchers found that RNA editing can cause changes in cellular activity, by describing how APOBEC1 is required for the proper phagocytosis and migration of BMDMs. In conclusion, very little information exists regarding the functionality and characterization of the molecular RNA editing, and how these might affect cellular activity. The significance of this article is to change our point of view by not only taking notice of DNA regulations, but rather by exploring the option that epitranscriptomic changes catalyzed by RNA editing might be important biomarkers of diseases associated with inflammation, such as neurodegenerative diseases and cancer.